If you are a business or resident based in Worthing, we can help support you with your IT needs, on going support and maintenance. For all of us here at Woodstock IT, it’s about the service – providing our customers with the best IT support possible and helping as many businesses as we can. It’s why we offer help to those in Worthing as well as Horsham, Crawley and the many other areas we cover in Sussex. With IT being such a vital factor, you need to have everything set up properly and a maintenance plan in place. That’s where we come in. We help businesses run efficiently and productively by providing a range of IT support and computer repair services. Network set-ups from one machine through to a full network, online and offline back up solutions and even the supply of computers, servers and peripherals – you name it, we can do it. We even offer a range of support contracts for businesses. Receive priority call outs, telephone support, discounted products and upgrades for total peace of mind. After arriving promptly and on-time. Woodstock listened to the issues we were having and advised on a solution in easy-to-understand language at a fixed cost. We felt extremely confident with Woodstock’s attitude and IT knowledge, response to queries within 1 day following work completion and after sales support where teething troubles (due to previous IT provider’ s incompetence’) were experienced. We would definitely recommend this company following 7 other companies that have let us down, who are based in Sussex. – Customer based in Worthing, Sussex. We offer second to none business IT support, and pride ourselves on offering a stress-free approach and aim to minimise any potential downtime. We know how important computers and broadband are for a company so if you encounter any issues we will deal with them as quickly as possible to prevent further disruption. We offer a fast and effective approach to residential IT fixes and improvements. Whether you’re having an issue with your antivirus system, need help with your broadband speed, or even with video chatting relatives abroad. Our friendly, expert team are on hand and just a call away. 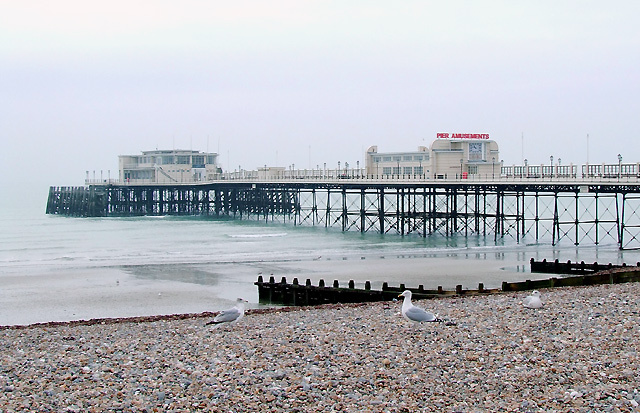 Worthing is a thriving business town and is dominated by the service industry, particularly financial services. Some of the major employers in the town include GlaxoSmithKline, HM Revenue & Customs and Southern Water. Being by the sea, the town also attracts lots of visitors and tourists each year. If your business is based in the large seaside town, Woodstock IT should be the first port of call for all of your IT support needs. Read our customer reviews by viewing our Checkatrade profile here. We have an overall rating of 10/10 and over 150 customer reviews.